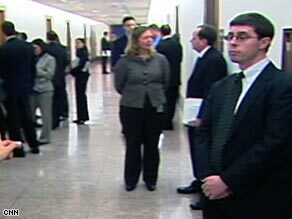 Aides to the senators wait in the hall as Thursday's meeting takes place. We're covering breaking news on Capitol Hill tonight. The Senate still has to vote on Pres. Obama's stimulus plan. There was talk of an all-nighter. But we're told that's no longer the plan. So, what's the hang-up? 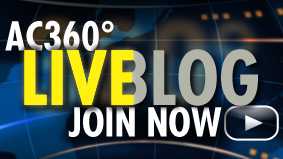 We'll have the new details from CNN's Dana Bash and Ed Henry. Just moments ago, Pres. Obama spoke at a retreat for House Democrats in Virginia. He called on the Senate to pass the stimulus plan. It felt like a campaign speech, a campaign to get the deal done. We'll play the passionate plea for you. There's also new fallout over Michael Phelps' bong hit seen around the world. One endorsement deal has gone up in smoke. And, the Olympic hero has been suspended from competitive swimming for three months. Do you agree with the punishment? And, could there be a change soon at the Supreme Court? Justice Ruth Bader Gisburg is hospitalized tonight after undergoing surgery for pancreatic cancer. Will she step down? And, if so, who might be her replacement. We'll have these stories and more tonight on AC 360°. Editor's Note: Lenny McAllister shares his insight on the political issues at http://www.lennymcallister.com and is a member of the North Carolina Republican Party Executive Committee. 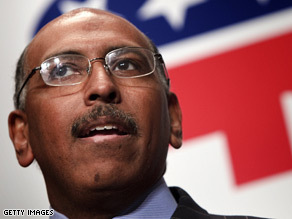 Last night, my Young Republican Meeting was abuzz about Michael Steele's historic victory as the first African-American chairman of the Republican National Committee. In Charlotte, our 70 member group of 18-40 year-olds is like the hundreds of other YR groups around the country. Unlike traditional Republicans, we tend to view race issues very differently. Unfortunately, we are not as diverse as we would like to be - at least not yet. We know that we have to change that , and we want to change that. A small band of masked intruders has broken into the secure White House grounds and has evaded capture by agents of the new Obama administration, officials said today. The National Park Service is in pursuit of one very large raccoon and several medium-sized raccoons, who have been spotted roaming the grounds around the Executive Mansion and the West Wing, a spokesman said. "The idea of raccoons on the White House grounds give us great pause," spokesman Bill Burton said. So far, the raccoons have evaded capture despite the presence of several "live traps," which are essentially cages with a one-way doors to keep the animals inside. The traps are baited with apples, cat food and peanut butter, Burton said, but so far to little avail. None of the raccoons have been seen in the past week, but officials said they still believe the wild animals are roaming the premises. The hunt continues, Burton said. If the animals are captured, Burton said, the National Park Service will release them, unharmed, into an unspecified wooded area. President Obama moved Wednesday to rein in the pay of executives whose companies get taxpayer bailout money - putting a $500,000 cap on annual compensation, limiting "golden parachutes" to departing bigwigs and requiring corporate boards to adopt policies on luxury expenditures such as lavish entertainment and parties. Corporate watchdogs applauded the intent of the new measures, but compensation experts cautioned that abundant loopholes - and crafty lawyers - could undermine any lasting effect. "You're pitting a group of government bureaucrats against compensation consultants and lawyers who are paid lots of money, and they're pretty damn smart," said Graef Crystal, a former executive compensation consultant who has written six books on the subject. "It's a lot easier to find ways around things like this than it is to invent them in the first place." 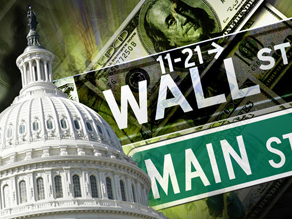 Filed under: Bailout Turmoil • Raw Politics • Wall St.
A bipartisan group of senators said Thursday they were going "line by line" through the economic stimulus bill as they try to reach a compromise on an amendment to cut some spending from the package. Sen. Evan Bayh, D-Indiana, said there is a "backbone" to a deal, but the details were being worked out between the 12 Democrats and five Republicans at the meeting. 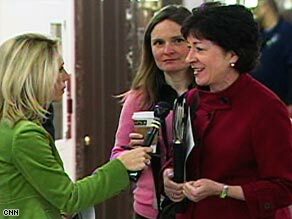 "It's been a painstaking, very thorough, very comprehensive process," said Sen. Susan Collins, R-Maine. Republicans have objected to some provisions in the bill that they say have nothing to do with stimulating the economy. Collins said she was originally in favor of a bill that would have cost about $650 billion, but after meeting with President Obama, she was convinced of the need for a proposal that would be in the neighborhood of $800 billion. 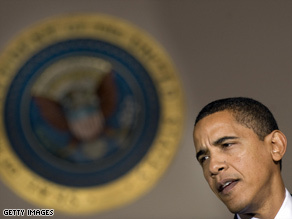 Obama held a series of one-on-one meetings in the Oval Office on Wednesday with key senators still on the fence. Collins said she went through some specific programs with the president to see which ones he would be willing to cut. "But I will tell you, particularly on my side of the aisle, there is a vigorous debate over what the size of the package should be," she said Thursday. "We don't want a package that is too small because that will end up just wasting money. On the other hand, we're very leery of having an enormous package that would not be necessary and would just boost the federal deficit," Collins said as Sen. Ben Nelson, D-Nebraska, nodded in agreement. Watch this video to hear audio from the cockpit of the US Airways plane that landed in New York's Hudson River. 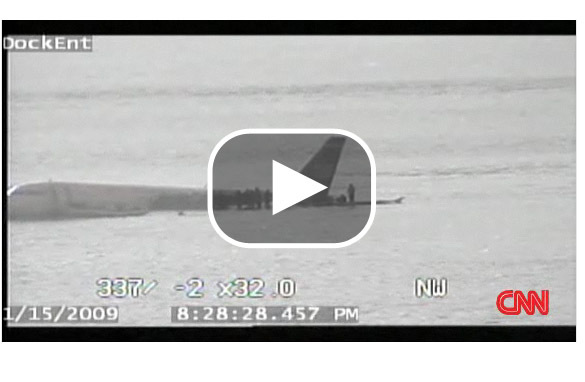 The FAA just released new audiotapes of the flight that crash-landed in the river. Editor's Note: The State Department confirmed that Under Secretary of State for Political Affairs William J. Burns arrived in Moscow on Wednesday and will discuss the use of the Manas military base in Central Asia with Russian officials. 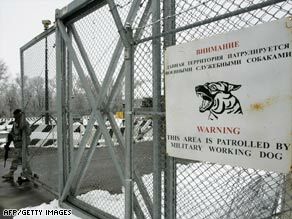 AA U.S. troop guards the main access checkpoint to the Manas Air Base on December 18, 2008. You might never have heard of it, but there's a tiny, impoverished Muslim country that's been playing a crucial role in America's "war on terror." And now it says it doesn't want to do that any more. Kyrgyzstan, lodged between China, Uzbekistan, Tajikistan and Kazakhstan, says it will close a key U.S. airbase that supports operations in Afghanistan. The country’s president says the U.S. base will have to find a home elsewhere. After the so-called 2005 Tulip Revolution, Kyrgyzstan became known as an islet of democracy in a region that is home to some of the world’s most entrenched dictatorships. The largely peaceful protests swept to power a new president who promised to liberalize the press, fight corruption and bring more democracy to Kyrgyzstan. 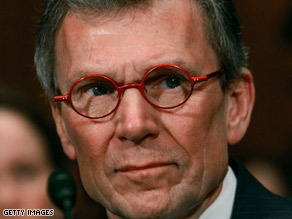 The lessons of Daschle: Can Obama reboot? In his book The Audacity of Hope, Barack Obama offered a paean to the glories of flying on private jets. He lovingly described his first trip on a Citation X: "The plane took off, its Rolls-Royce engines gripping the air the way a well-made sports car grips the road ... I could see how people might get used to this." The punch line of the story was that Obama's staff asked him to give up the practice, which was legal, because he was the Democrats' Senate point man on ethics reform. "It was the right thing to do, but I won't lie," he admitted. "The first time I was scheduled for a four-city swing ... flying commercial, I felt some pangs of regret." The traffic was awful. His plane to Memphis was late. But then he found himself in an intense conversation about stem-cell research with a man suffering from Parkinson's. "These are the stories you miss, I thought to myself, when you fly on a private jet," he concluded. President Barack Obama, who has been reversing course on a host of Bush administration policies, Thursday will make a bid to expand and strengthen one of the programs most closely associated with his predecessor. George W. Bush created the White House faith-based grant program, and Obama intends to keep the same structure. But Obama is going a significant step further, with the creation of a new board of advisers whose recommendations will be woven directly into his policy-making apparatus. Under Bush, a White House-based program to encourage grants to faith-based social service programs began with high hopes and a barrage of publicity. But over time this Bush hallmark suffered amid complaints from many of its backers that it had become marginalized and used for partisan purposes by White House political aides. 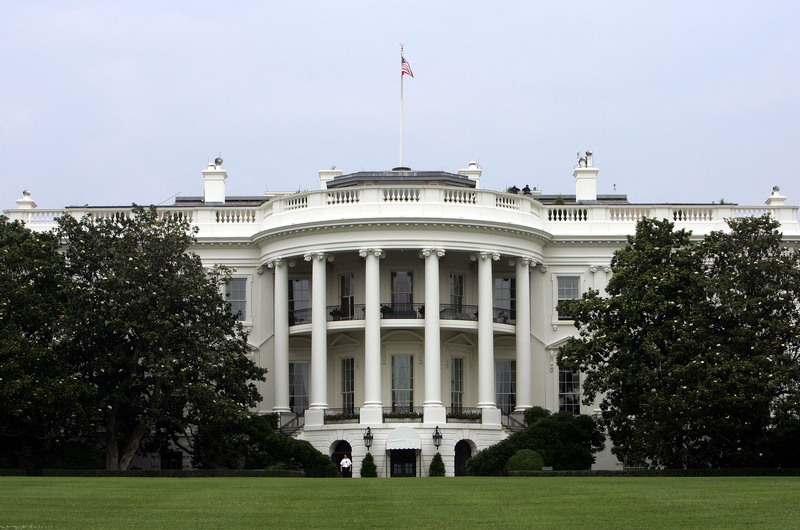 Under Obama, the President’s Council for Faith-Based and Neighborhood Partnerships will allow 25 faith and secular leaders to provide regular input on policy and to advise the White House faith office, which is tasked with distributing grants. Obama is slated to announce the council Thursday and meet privately with members at the White House. The council will pull together an evangelical megachurch pastor, a Reform rabbi, a former Southern Baptist Convention president and the first female bishop in the African Methodist Episcopal Church. The membership is intended to cross the political and religious spectrum, fulfilling Obama’s promise to run an inclusive administration. But with the diversity could come conflict.